The “We Demand an Apology Network” demands an apology for the historical wrongs committed by the Canadian government against LGBT people. The “We Demand an Apology Network” demands an apology for the historical wrongs committed by the Canadian government against LGBT people. We bring together people who were directly affected by the national security campaigns to purge ‘homosexuals’ from the public service, the RCMP and the military, and supporters and researchers who believe an injustice was done. “He was traumatized... They [Canadian military] made him believe that he was a pervert.... That he could never be trusted with anything or anyone.... He said [in his note] that he’d ruined our mother’s life, his life, everyone’s life, and he could no longer live with that.” (Fiona). There has never been an apology from the government for the injustice and harm caused by this campaign. We demand an apology and the commitment that such a campaign will never happen again. The Canadian military: During WWII people suspected of homosexuality were discharged from the military for being “psychopathic personalities with abnormal sexuality.” Later this evolved into prohibitions against ‘sexual deviates,’ those with ‘sexual abnormalities’ and ‘homosexuals’ (see Canadian Forces Administrative Order 19-20). Military security was directed to enforce both national security regulations against LGBT people and military regulations prohibiting homosexuals from being in the military for both national security and disciplinary reasons. In the 1960s the first focus was on the Navy. Investigations also had a particular focus on lesbians in the 1970s and 1980s. For instance, five women were dismissed from the Canadian Armed Forces Base in Shelburne, Nova Scotia in 1984 as “hard-core lesbians.” For the women and men in the military, this often included grilling by male military police officers about the sexual practices in which they engaged. In the late 1980s, military members suspected of ‘homosexuality’ would have their security clearance suspended and were transferred to very low level employment positions on military bases, which in practice 'outed'this person to other people on the base. The Public Service: In the very early years a major focus was on External Affairs. In 1960, the RCMP identified 59 suspected homosexuals in External Affairs. Research has shown that External Affairs was hit hard with the transfer of John Holmes, and the dismissal and resignation of many others. In 1960, 363 confirmed and suspected homosexuals were identified by the RCMP in government work. In 1961 this went up to 460 and in 1962 850 were identified. In the public service this campaign was extended into many areas having little to do with national security including: the Post Office, Central Mortgage and Housing, Health and Welfare, Public Works, Unemployment Insurance, and to the NFB and CBC. LGBT public servants faced systemic discrimination during these years. People outside the military and public service: The RCMP security police would approach LGBT people outside the public service and military to get them to inform on LGBT members in these institutions. They often threatened to lay criminal charges against these individuals unless they gave the names and identities of their LGBT acquaintances and friends. They were able to do this given the complete criminalization of homosexual practices until 1969 and the continuing criminalization of consensual homosexual sexualities that existed for decades after that. In the 1970s because gay and lesbian movement organizations challenged these national security policies in the military and public service many of these organizations were also subjected to RCMP surveillance and were spied on. While these national security campaigns began to weaken in the public service by the mid-1980s they continued at a very high level of intensity in the RCMP, CSIS and the military. Indeed, the purge campaign continued despite the McDonald Commission report into the RCMP violations of people’s rights in 1981, the Charter of Rights and Freedoms in 1982, and the Equality Rights Section of the Charter in 1985. In the military the purge campaign officially continued until 1992. 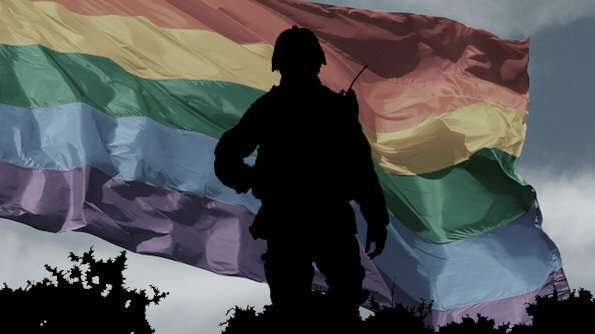 Many people identified as suspected homosexuals in the military chose to resign, or accept dismissal on other grounds. Many were released as “not advantageously employable” which created problems in finding other employment. But directly under CFAO 19-20, it is reported that even in the 1980s hundreds of military members were discharged. For example, reports indicate that 45 people were dismissed in 1982, 44 in 1983 and 38 in 1984. But another source has 100 people being dismissed in 1982 alone. Other sources report that discharged armed forces members were calculated as: 18 people in 1985, 13 in 1986, 7 in 1987, 10 in 1989, 4 in 1990, and 2 in 1991-92. However, because of national security restrictions, information deleted from Access to Information requests, and inconsistent recording, the numbers officially discharged has never been able to be confirmed. This is why more information withheld on the grounds of ‘national security’ needs to be released. Violence and abuse against those identified and outed as gay or lesbian in the Canadian military was tolerated -- if not encouraged -- by the military hierarchy during these years. The military hierarchy very actively fought the ending of its exclusionary policies until it was forced to officially end these practices in the Michelle Douglas Supreme Court decision in 1992. Michelle Douglas and four others engaged in legal battles with the Canadian military in 1992 are the only people in Canada who have ever been recognized and redressed for these attempts to destroy their careers. There remain major problems within the Canadian military regarding sexual assault and abuse against women and hostility towards LGBT members. A fuller pubic picture of the national security campaigns against LGBT people in the public service and military became visible as a result of journalist Dean Beeby’s articles in newspapers in 1992, based on Access to Information Requests. In response to a question based on these reports by NDP MP Svend Robinson then Prime Minister Brian Mulroney stated that the purge campaigns reported in these articles would “appear to be one of the great outrages and violations of fundamental human liberty that one would have seen for an extended period of time.” He went on: “[I do not] know much beyond what I have read ... but I have instructed the Clerk of the Privy Council to bring forward for consideration ways that we might examine this more carefully because on its face it would appear to be a fundamental violation of the rights of Canadians and, if it is as it has been reported, a most regrettable incident.”(See Canada, House of Commons Debates, (April 27, 1992), 9713-14; and “PM Denounced 1960s Purge of Homosexual Civil Servants,” Globe and Mail, April 28, 1992). However he did not call for an inquiry or offer an apology and nothing ever came of this. When calls for an official apology were made by researchers and activists in 1998 the Liberal government produced briefing notes for government officials stating that if they were asked about this they should respond by arguing that this was already investigated by the McDonald Commission into RCMP wrongdoing in 1981. However the McDonald Commission did not significantly investigate the national security campaigns against gay men and lesbians; these campaigns continued long after 1981 in the public service and the military; and no apology for these practices was included in the Commission report. It is now way past time for an official apology by the Canadian government to the hundreds, if not thousands, of people whose lives and careers were destroyed and harmed by these national security campaigns. This is why we welcome and strongly support the NDP motions M-517 and M-521 calling for the revising of the service records of all those discharged from the Canadian Forces on the basis of sexual orientation or gender identity and for an official government apology to all members of the public service and military who were harmed by the purges, and discharged on the basis of their sexual orientation or gender identity. We also support Bill C-600 which calls for suspending the criminal records for homosexual activities that are no longer illegal. It was the use of these offences as a threat to get people to provide information on their gay and lesbian friends and acquaintances that produced some of the ‘evidence’ identifying people as homosexuals to be discharged from the public service and the military. We demand that the Canadian government apologise to all who were directly affected by these national security purge campaigns and indicate that the Canadian state will not allow anything like this to happen again. This is an important step in opening the door for recognition and support for the hundreds, and perhaps thousands of people, whose lives and careers were harmed by these government policies.